She has always been the Dream Girl of Bollywood. 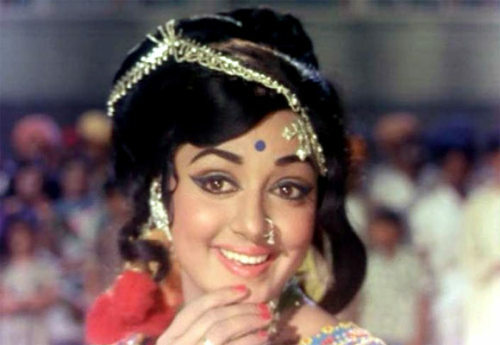 Hema Malini who has turned 67 last year continues to enthrall millions of fans with her magnetic smile. The actress who plays multiple roles of a grandmother, a dansuese and politician and actress speaks about her journey in Bollywood, her life as a grandmother, mother and politician. She says that she is happy and satisfied in her life. She says she has not realized the secret mantra of her success and beauty. “I don’t know what the secret is I am on my journey and take what I get and am happy doing it. My relations are there, mother –daughter, sister-brother, husband –wife. I have never sat at home. I have always been busy and dance has been a great support to me. God has been kind to me” she smiles. The actress is currently promoting talented dancers through Jaya Smriti a programme which she has instituted in the memory of her mother. Your Jaya Smriti has been revived after two years? Yes. I have revived the programme after two years this year. We have been doing for many years. My mother was a great art lover and she made me what I am today. Would you have survived as an actress without dance? Without dance I would have never been Hema Malini and I am into films and everything. That was the right way. People used to watch me performing and offered me roles. Lot of youngsters would come to my mother and tell her to introduce them to dance. She wanted me to be a dancer. I decided to dedicate this programme in her name. Before 30 is the right age when a girl’s body blends into dance. People have watched me danced so I am promoting new people. We are felicitating artistes every year and promoting some talented budding artistes. Why didn’t you perform this year? I have refrained from performing and so have my daughters. We have done all that and I have performed for so many years. I am not interested in promoting my children. There are beautiful dancers from Orrissa. Kelucharan Mohapatra’s granddaughter and Abruti organsiation they adopt children and teach them to dance. Two dancers and one musician have been trained and have performed. Amongst the current trend of actresses who do you think dances well? All are good but I love Aishwarya Rai Bachchan and Deepika Padukone as dancers. They are very good and Aishwarya also does Kathak. Not many films have classiscal dances these days? 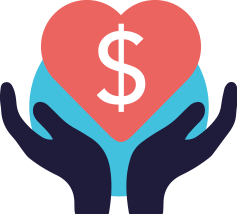 Very few people are taking interest in this and we are trying to promote. Even in films there are no classical dances. People abroad think that Bollywood dance is Indian dance I hope this doesn’t end. Do you plan to hand over the legacy of your dance to your daughters? I have taught my daughters dance, they are dedicated but they have to take over. I have done so many beautiful roles as Radha and Meera. They have to take over. I have created the Durga performance for so many years and in different forms. It can be recreated and I hope it is recreated every year. I am trying to preserve the culture and I want them to take over and run the institute. I hope they do it. If they likes it they will. It has to be a natural process. I think Esha has the capacity to do it. She is very good. You have turned a grandmom this year how do you look at this new relationship now? This is a new relation and I didn’t know it can give so much joy. His name is Darian and he comes to my room every day. I play with him. All memories of my little girls came back to me. I was a working mother and how they would come and hug me. I was lucky that during my pregnancy there were no physical changes in me. My children were small by birth. During Ahana’s time they would keep saying that the baby’s weight is not much. They said that 3.5 is the ideal weight for a baby but the baby was fine. I am sure he will grow up to be a handsome boy. We have a nurse to take care. Ahana would feel that the nurse is not allowing me to take care of my baby. I told her don’t worry the baby is always with the mother. I would feel the same and my mother would tell me that the baby always knows the mother. It will come to her. Do you plan to make any dance based shows for television? Financially it is expensive to make a serial. There are so many people sitting in the channel offices who use their own brains. I got fed up. I tried my best with Sony. They don’t want normal shows. Only certain people get to make serials. I had done a serial titled Mati Ke Banno but the problem is that there are young girls designated to certain posts in the channels and they have no knowledge of anything. They have their reasonings and ask us to make changes. I made the changes as they wished and then started complaining that the serial is not doing well. The serial didn’t do well because of the changes not because my script was bad. I decided not to make anything after that experience. You can’t make films now. I produced Tell Me Oh Khuda last but the director was not good. Now corporates have taken over and we have to depend on them. Earlier people did films like Sholay when there were no corporates. There were independent producers like Dev Saab, Guru Dutt, Ramesh Sippy. Some people sit and think they are story board heads but they have their own ideas. How can these things work. I don’t know how people are making films. If they don’t back you, you have had it. We can’t afford to lose money. It has become dicey to make a film. Earlier there was one producer, one director. Now we have five producers. I am a very dedicated and competent person but you have to have somebody to back you. How can I direct it. How do you look back on your journey now? It has been a wonderful journey, very satisfying. 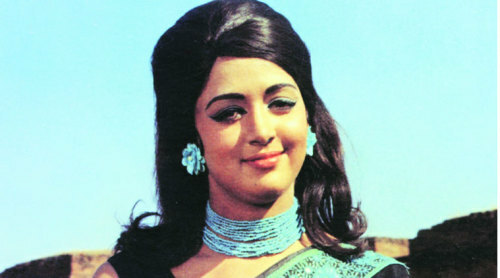 My first ten years of life I spent in Delhi and because I wanted to become a filmstar and dancer I shifted to Chennai. With the blessing of God I became a dancer and star. Later I shifted to Mumbai. From the age of 15 to 25 my life was different. Then I fell in love, I continued to work but when you are in love life is beautiful and work is better. We decided to get married and then I had children and everything was beautifully weaved. It was not a normal marriage as everyone knows. Those days my mom used to bring heavy Kanjivaram saris and when I wore them all the Punjabi producers wives would make fun of me. I always listened to my mother. It was tough to become a heroine then. Nowadays everyone is a hero and heroine.I didn’t have to struggle much as I was a blessed child. My life has been satisfying and hope it stays that way till I am alive. I sit back discuss these things with Dharamji. He goes into his mode of Sher O Shayari. He writes beautiful couplets. I enjoy it. If God ever asks me which phase of my life I would like to relive again it would be tough to choose. Every phase of my life has been beautiful. Are you in touch with Rekha? Rekha is always in touch with me. She loves me a lot. She likes me and respects me. I am blessed to have him in my life. I didn’t have a regular married life but I was designed to be his wife by the Lord and I am here to do certain work. If I was married somewhere else I would be sitting doing nothing. It’s not that I want to be in the limelight. I am doing certain work and have always been inspired. Who is your support in your highs and lows? My brothers are there. When I feel low I talk to them and they are very close to me. I love them and discuss and they advise me. My mother was strict and my brothers were very supportive. When I am worried they tell me that everything will be fine and the Lord will help me. Sometimes I analyse my life. When the accident took place recently I analysed everything from above and reasoned but nothing happened. It’s just a reminder and you have to go on with life. You become philosophical but you have to go on. You are also doing a lot for Mathura now? I am putting all my work in Mathura and in U.P. There are farmers there and it reminds me of Sholay. The characters are like that. They are so innocent. Like one character says “suicide kya hota hai” today they are so innocent and people fool them and there is no development. I am trying to help them. People have looted them and no one has done anything.There is so much unemployment. There was this small boy. I told him show me your teeth he said I eat gutka. He’s just six to seven years old.